Ary Aptin is a Senior M&A Advisor specializing in business valuations at Generational Equity. He has more than 18 years of experience in performing business valuations for privately held, middle-market businesses throughout North America. During his career, he has completed more than 1,800 sell-side evaluations in virtually every industry segment. 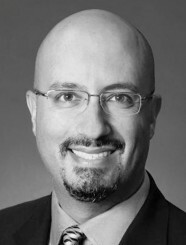 Prior to joining Generational Equity, Mr. Aptin worked for Citigroup’s middle-market valuation and M&A practice group. Prior to his M&A career, Mr. Aptin worked as a securities broker/financial advisor for a major Wall Street investment bank. Before that, he had started up a successful retail menswear business, which he sold after ten profitable years. Mr. Aptin has a Bachelor of Science degree in International Business and a Minor in German from San Diego State University, and studied Physics and Applied Mathematics at the University of California, Irvine, and Financial Management at the University of London. He is currently working toward earning designation as a Certified Valuation Analyst (“CVA”) from NACVA (National Association of Certified Valuators and Analysts).